$17 per visit / Great for puppies in training, small fries or our senior friends. $20 per visit / Perfect for active dogs and energetic puppies. A great 2nd visit for puppies in training. $29 per visit / Recommended for high energy dogs that need exercise and just a bit more time out and about. $36 per visit / Just right for frisky dogs that need lots of exercise and attention. Also a perfect dinner visit for folks that have a long day at work. $23 per visit / Perfect for active dogs and energetic puppies. A great 2nd visit for puppies in training. $32 per visit / Recommended for high energy dogs that need exercise and just a bit more time out and about. $39 per visit / Just right for frisky dogs that need lots of exercise and attention. Also a perfect dinner visit for folks that have a long day at work. 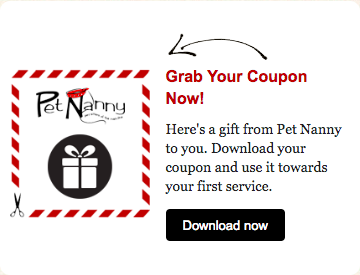 $20 per visit / Perfect for cats that need a bowl refresher and a quick litter scoop but prefer their alone time. $23 per visit / Great for cats that like to be social and have some company while they eat. 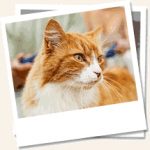 $32 per visit / Excellent for kittens and cats that enjoy extra playtime and love to purrrty! $39 per visit / Just right for kittens and cats that are extremely social and get lonely for company. 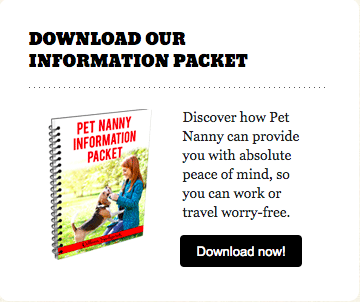 Great for new kittens and affectionate cats with separation anxiety. $99 per night plus $6 each additional hound / This service is to be considered as a minimum of: 1-hour morning visit, a 1-hr dinner visit, with a 9-hour sleeping stay.Have your Pet Nanny provide overnight pet care and housesitting services to give your pets and your home added security. This is an extremely popular service. We book up quickly, so make your reservations as soon as possible! $45 / Do you have a high energy, high anxiety or overweight dog? This is vigorous and energy burning walk. This can be scheduled in addition to or in place of an already scheduled visit. $55 / This is a 1.5 hour excursion to a dog park or hiking trail within 10 miles of your home. Add $15 per additional dog per household. A waiver must be signed. $30 for the 1st 30 minutes $15 each additional 15 minutes / Your sitter will clean up the poop in your yard. This rate is for up to 3 dogs and 1 acre of property. Areas over 1 acre can be evaluated and a quote will be given at that time. $32 per 30 minutes / Do you need someone to pick-up your furry pal from the groomer or vet? We’re here for you! A waiver must be signed. $20 per litter box / Dirty litter is emptied and disposed of. The litter box is then scrubbed and sanitized and refilled per your instructions. $20 / Hard chew toys are soaked in a solution of 50% hot water and 50% vinegar. They are then scrubbed to remove any stubborn debris. $25 / Up to 5 indoor plants is included in your basic service, but do you have more plants or gardens that need attention while you’re gone? If so, we’re here for you! $12 each way / Perhaps you don’t feel comfortable using the lock-box or hide-a-key option. No worries! We’ll come and pick up your key before you depart as well as return it after you get back. Please schedule these times through the office. $22 / Do you need to get an important package delivered while you’re gone? We’ll travel anywhere up to 8 miles from your home and do it for you. $40 per hour / Maybe you need a Birthday gift picked up or maybe you need more pet food. Count on us. We’ll get it for you. We’ll travel up to 10 miles from your home. $22 /We’ll make a trip to your pharmacy and get what you need. Your pharmacy needs to be within 8 miles from your home. $24 per hour / 2 & 4-hour blocks are offered for anything longer than an hour. Do you have a delivery expected or is the cable guy expected to arrive between 12 & 4? We’ll do the waiting for you. $22 / Why be bothered. If your dry cleaners is within 8 miles of your home. We’ll pick up your dry cleaning for you. $25 / Isn’t it nice to return home to a just vacuumed house? Have your sitter vacuum it for you. The cost is for a home up to 3000 square feet. If you have a bigger home that you would like vacuumed we can evaluate and provide you with a quote. Arrival & Departure Text Messages / FREE!